When you’re ready to update the look of your home both inside and out, we’re the experts to call. Painting is the least expensive way to improve your home and it has the most impact. It’s the best way to maintain the value of your home and keep your biggest investment protected. We’ve painted thousands of home exteriors and interiors. We have years of experience painting bedrooms, bathrooms, living rooms and kitchens. 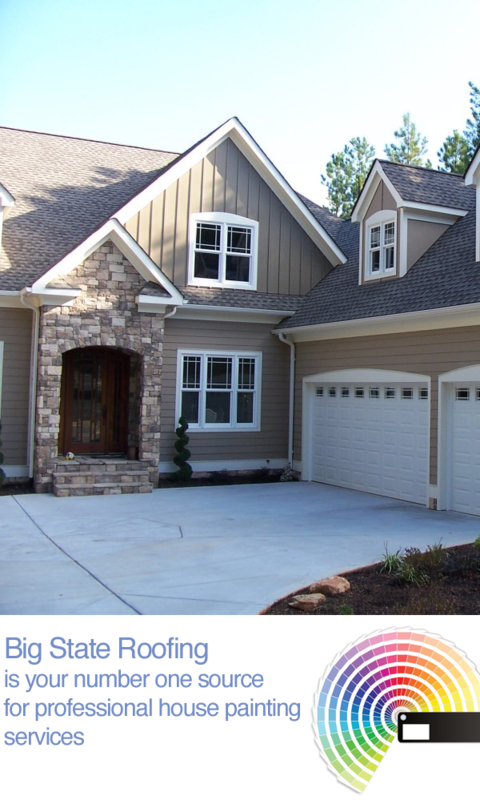 We’ve also painted countless home exteriors including brick, vinyl siding, stucco, wood siding, wood trim, decks, doors and more. If you’re looking for experts to revitalize your home, look no further. You’ve found your team. Our team will visit your home and provide a personalized and detailed proposal of services. We won’t leave you with just a verbal quote or a basic estimate. Our proposal will outline all the painting services we’ll provide and the complete cost. We will give you an accurate price right from the start. Because our painters work from the proposal, you can feel confident that you’re receiving all the services you’ve requested. Before we begin your home painting project we’ll work with you to schedule the best time and date for the job. We’ll also finalize the paint colors you want and confer on all other aspects of the project. There won’t be any delays on the day your project starts because we’ll have taken care of all the details beforehand. Whether you’ve hired us to paint the inside or outside of your home, our professional crew will walk through the area to be painted before we begin the job. We’ll assess all areas of work to determine how to prepare them for the job at hand. Inside your home we’ll cover your floors and protect your furniture. If there are holes or cracks in the wall, we’ll fill those and repair the drywall if necessary. We do ask that you remove any fragile or valuable items that are near the painting area before we begin. Also take down any pictures or shelves that are on the walls. Outside your home our crew will fill in cracks and holes in the walls. We’ll ensure your deck is covered as well as any plants and trees near the project area. If necessary we also provide mold removal. We ask that you move all deck furniture and potted plants away from the painting area before we begin. We’ll pressure wash all surfaces to ensure they are clean and prepared to be painted. Our painting service is environmentally friendly and we use only zero VOC and low VOC paint. Our paint has no harsh odors or fumes and our painting process has minimal impact on the environment. When you return home upon completion of the project you can be confident that your children and pets will be safe from inhaling any chemical odors or fumes. We know taking on a painting project is a daunting task. We’re here to help. There is no better way to instantly improve the value and appeal of your home then with a fresh coat of paint, inside and out. Let our experts do the work for you. We’ll prep your home and take care of the tedious clean up so all you have to do is enjoy your home’s fresh, new look. We ensure the best quality work and will conduct a walk through with you upon completion of the project to make sure you’re completely satisfied. Call us today for a free estimate.